All Copyrights are by Artists, but Can be Freely Shared. 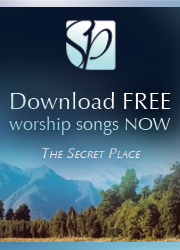 Looking to rack-up on some free christian praise and worship items? Here are a few for you. If you don’t see what you are looking for, contact me about it. I would love to assist you, if time is permitting me to do so. Also, help me in order for us to help others by you sharing some other great items on this site. It will be to encourage other brothers and sisters in Christ to praise and worship freely. Each Month, A New Offer is Offered to You with Your Honest Opinion. Encourage Others to Join with You. Start a Book Club with your free book. Faith’s Checkbook December by Charles Spurgeon – Coming Soon! Precious Bible Promises (originally named Clarke’s Scripture Promises) Compiled by Samuel Clarke, D.D. (1675-1729). Each Month, A New Offer is Offered to You with Your Honest Opinion. Encourage Others to Join with You. Start a Listening Room Jam Session from Your New Praise and Worship Music. Great Fellowship Time with your Brother or Sister in the Lord. Tell others about this great website that encourage other to lift up the Mighty Name of Jesus Christ and our Heavenly Father, Elohim! The website contains “Downloadable Software” that does not require payment for any license fee. “Downloadable Software” shall refer to all items available on this free download site, including but not limited to: ebooks, pdf, mp3, graphics, and text files. You are granted a non-exclusive license to use the download software subject to your compliance with all of the terms and conditions of this Freeware License. You may not change License information, and will not have any proprietary rights in and to the software.You acknowledge and agree that the License retains all copyright and others proprietary rights in and to the software. Many materials have been developed using public domain sources. The Licensor claims no copyrights over such source, and the Licensee is free to use. Licensor makes no guarantee of public domain status for all sources, and the Licensee assumes full responsibility regarding copyright and permissions for their own derivative works. Use within the scope of the License is free of charge and no royalty or licensing fees shall be payable to you. The License shall be effective and bind you upon your downloading of the software; you accept the software on a “AS-IS” and with all faults basis. No representations and warranties are made to you regarding any aspect of the “Downloadable Software.” If you agree to be bound by the terms of this Freeware license terms, please use the download site. If you do not agree to the terms, do not download the free software.